Vienas didžiausių laparoskopinės įrangos gamintojų kompanija Johnson&Johnson išima iš rinkos laparoskopinės histerektomijos įrangos priedus, kurie skirti susmulkinti gimdos daleles, kad būtų galima pašalinti organo dalis per laparoskopines angas. (HealthDay News) -- The largest maker of a surgical tool that has shown an increased risk of spreading undetected cancers in women has said it will withdraw its device from the market. Sales of new morcellators had been suspended in April after the U.S. Food and Drug Administration warned that doctors should not use the tool because of the potential risk of spreading cancer during minimally invasive surgeries to remove uterine fibroids, noncancerous growths on the uterus, or the uterus itself. The morcellator used a spinning power cutter to slice uterine tissue into smaller fragments. Those fragments were then removed through small incisions in the abdomen via a tube or laparoscope. Experts said the company's decision sends a strong message. "The bottom line is that it looks like the [cancer] risk is much higher than we originally thought," Dr. Steven McCarus, chief of gynecological surgery at Florida Hospital Celebration Health, which was one of the chief Johnson & Johnson training sites for the morcellator device, told the WSJ. The hospital suspended its use of power morcellators after the April FDA advisory, the newspaper reported. McCarus added that he had been part of a committee the company formed to review existing research on the increased cancer risk, and that he had advised the company that the risk was too high. Another doctor told the WSJ that the company's decision indicates that it agrees the risk is too significant to ignore. "What it says to me is that they are rightfully so concerned with ramifications of spreading cancer that they just don't want any part of this market," James Barter, director of gynecologic oncology research at Holy Cross Hospital in Silver Spring, Md., told the newspaper. "The message is very, very sound, very clear. The message is that it's just not worth it." Concerns about an increased cancer risk with morcellators have been percolating since the FDA first issued its warning in April. Earlier this month, an FDA advisory panel said there is no way to guarantee there is no risk of spreading undetected cancer to another part of a woman's body, and they recommended that women who undergo procedures that use the morcellator should sign a written consent stating they understand the potential risks. The agency isn't obliged to follow the advice or recommendations of its advisory committees, but usually does so. The FDA has estimated that about one in 350 women undergoing a hysterectomy or fibroid removal has an unsuspected type of cancer called uterine sarcoma. About 60,000 such surgical procedures are performed every year, according to Dr. William Maisel, deputy director for science and chief scientist at the FDA's Center for Devices and Radiological Health. A study published just last week in theJournal of the American Medical Association more clearly pinpointed the risk of spreading cancer if morcellation was used to remove the uterus in a laparoscopic hysterectomy. The researchers noted that the risk was higher for older women. Women who already have undergone power morcellation don't need to get a cancer screening, because some of the tissue removed during the procedure would have been sent for pathologic analysis, Maisel said. If cancer had been detected, they would have been informed, he added. "We think that most women who have undergone these procedures require routine care," he said. "If they don't have any ongoing or recurrent symptoms, they should be fine." Women who need a hysterectomy or fibroid removal can still undergo traditional or laparoscopic surgery, just without the use of a power morcellator, Maisel said. 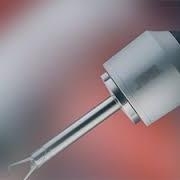 The FDA approved the first power morcellator for use in 1995, Maisel said. The medical community has been aware of the risk of cancer spread during power morcellation since the devices came onto the market, Maisel said, but "the magnitude of the risk appears to be higher than what was appreciated in the clinical community." For more about uterine sarcoma, visit theU.S. National Cancer Institute.